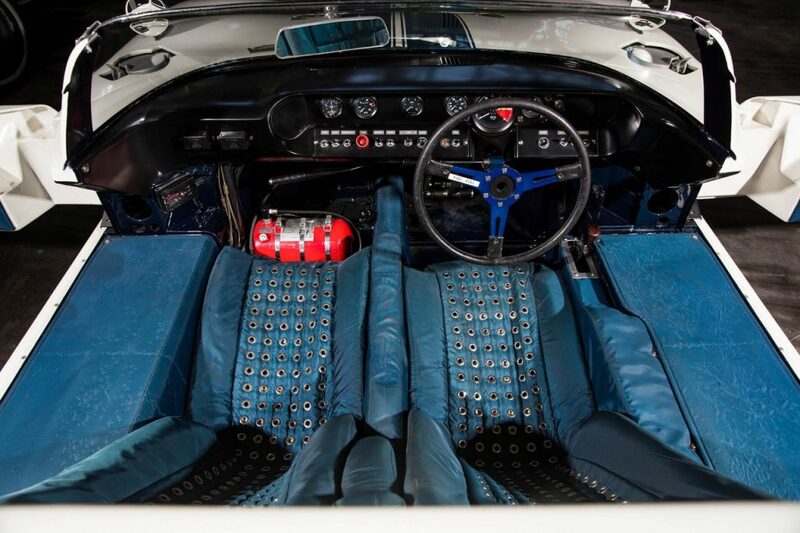 In the 1960s, Ford built a total of six Ford GT40 Roadster prototypes, before evidently concluding that the business case for such a car was too flimsy to justify producing the car in earnest. Amazingly, one of those prototypes – Chassis No. GT/108, the first example built – survives intact still today, despite the other five examples being modified, converted to closed-cockpit, or destroyed. That makes it one of the rarest and most unique Ford GT40 examples left in the world today. Now, GT/108 is up for sale, according to Road & Track. Its price is unlisted, but we don’t imagine it’ll fetch a penny less than the $6,930,000 it sold for at auction back in August, 2014 (link). UK dealer Girardo & Co., which is handling the sale, will bring the car to Monterey Car Week in California for display. 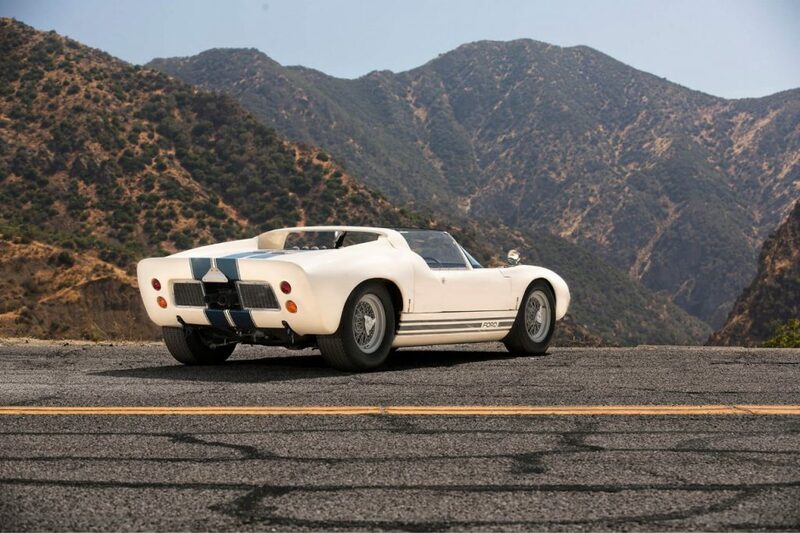 It’s the only Ford GT40 Roadster left in “as-built” condition with its original 1965-style nose and low tail section, according to the 1995 book GT40: The Legend Lives On by John Allen. It’s painted white with blue racing stripes, and features a Ford 289-ci V8 with a ZF transaxle. For the full story on Ford GT40 Roadster No. GT/108, plus a gallery of high-quality, mouth-watering images, check out its sale listing on ClassicDriver.com.